So, in anticipation of defending the Castle from a significant Institute attack, the Minutemen called in almost all of their recruits as backup with myself included. A group of them had garrisoned themselves on top of one of the walls and I decided to join them. During the calm before the storm, I noticed a Vertibird attacking something on the ground though I did not see what exactly. As I’m no fan of the Brotherhood, I decided to do some target practice on it. 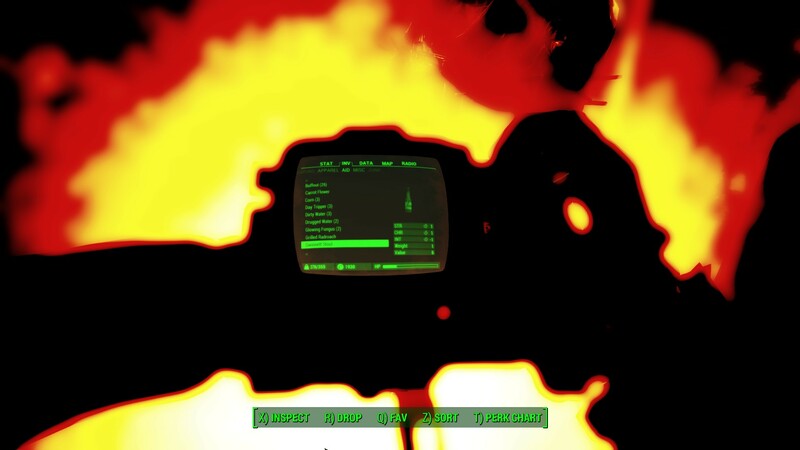 So is this is what it’s like when a hacker is in the zone and “one with the computer”? I admit that I do not know THAT much about computers but I’m sure something is not right here. Who needs a swatter from Diamond City when you’ve got a gun like this? 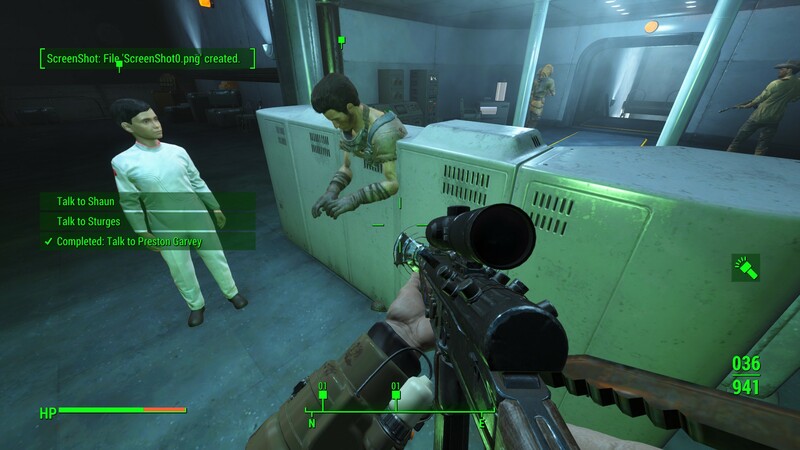 After I enthusiastically came back from spreading the word of the Minutemen, doing good and all that, Preston was not impressed at all. In fact all he did was give me a damned cold shoulder and then a little shrug! What an arse hole! I felt like adding a couple of emotional chords (thanks to radutron.com) would make it kind of funny. 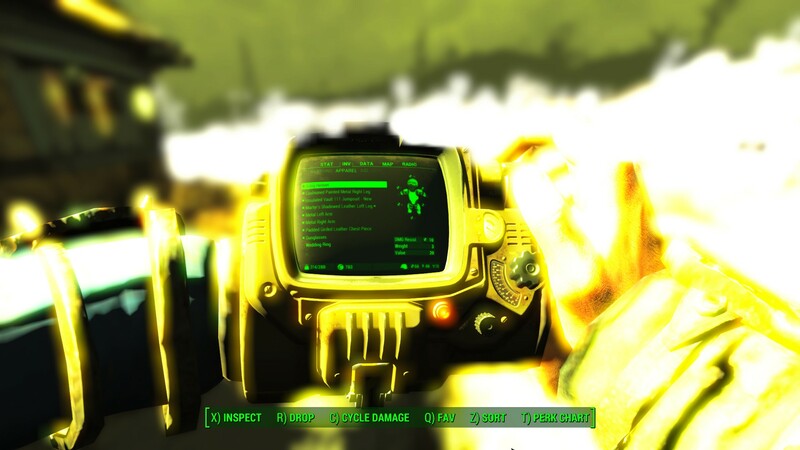 I really seem to flip to my Pipboy at some of the greatest moments. The first picture was a flash during a rad storm, and the second was somewhere in a foundry. Not much else, just thought they looked great.